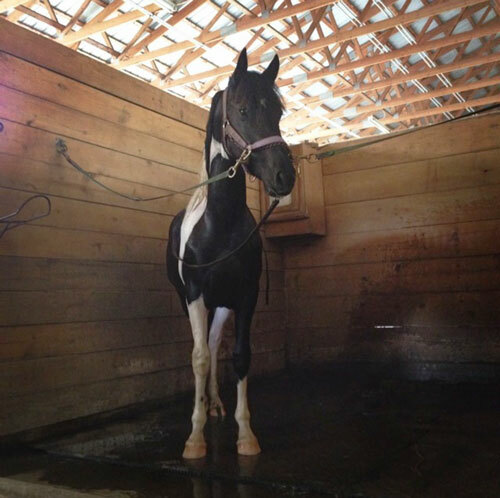 This is Anneliese - Attached find photos of 2013 filly I purchased from you. I named her Flying W Farms TA KA'S Maybelline. She is precious, sweet and like a big puppy dog! 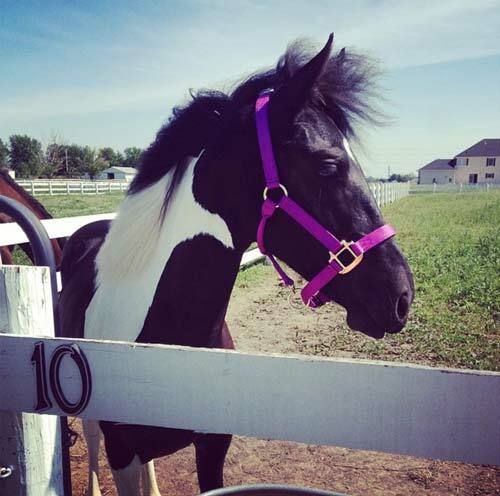 I love her dearly, and she is a barn favorite! I attached some pictures to this email for you to see. She looks great in purple. We have been calling her Maybelline, like the make-up. Her eye lashes are like 4 inches long! That is how she got her name. I love her sooo much!! She is really a sweet sweet sassy filly. Everyone at the barn adores her. You can most definitely post them on the website :) I would feel so special if my baby had a photo on the FWF site!